YouTube has one billion monthly users—almost one-third of all people on the internet—and millions of hours of video are watched every day on the video platform. But the Google-owned video site is still in the investment stage, according to Susan Wojcicki, CEO of YouTube. 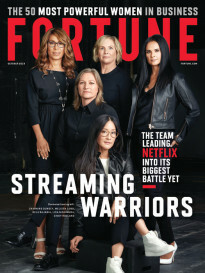 “We are still in investment mode,” Wojcicki said at the Fortune Most Powerful Women summit in Laguna Niguel, Calif. on Tuesday. She explained further that the declining TV viewership of people in the 18 to 34-year-old segment represents a massive opportunity for her team, which Google (googl) bought for $1.6 billion in 2006. Areas where they are investing, she added, include virtual reality. “There’s no timetable,” she said, referring to a question on profitability. 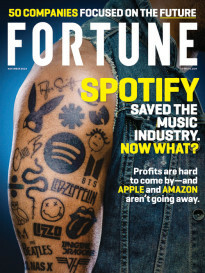 That doesn’t necessarily mean YouTube isn’t profitable, but it just means it’s not a focus at the moment. YouTube, which primarily makes money from advertising within its videos, doesn’t release revenue numbers (it is not separated in financial statements by parent company Alphabet). But some reports put revenue in the billions. Another focus for the viral video platform has been supporting the many creators who have flocked there to create videos. Actress and comedian Grace Helbig, whose channel has 3 million subscribers, joined the site three years ago to start her show because of the creative freedom. “There are no gatekeepers,” said Helbig, who appeared onstage with Wojcicki. “For years, we were trying to figure out how to get in the living room, but now we are everywhere with mobile phones,” Wojcicki said.